For any new parents, the first year of your babies life, can be quite challenging. This little bundle of joy can turn your life up side down and life as you know it changes forever. One of the most common challenges parents face is sleep deprivation, many parents need to learn how to accommodate, or adapt to sleepless nights. 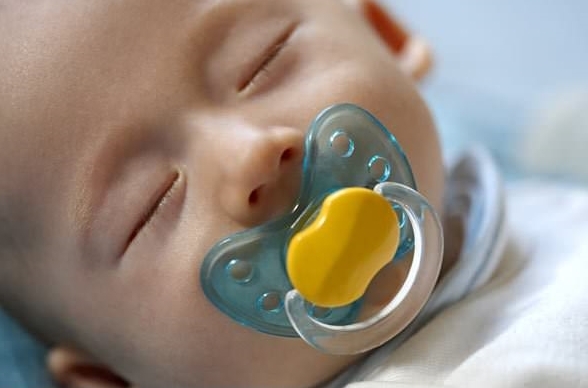 If your baby relies on a Dummy/Pacifier to sleep, they may wake several times a night when the dummy falls out of their mouth. But pacifiers do have certain benefits, doctors say that a little one who uses a nighttime pacifier can reduce their chances of sudden infant death syndrome (SIDS). Pacifier wake ups seem to be a problem for babies that are younger than 6 to 8 months. After 6 months many babies have the fine motor skills to be able to place the pacifier back into their own mouths. However, until that time there are a few things that might help your baby with sleeping. You will need to find ways to help them adjust to not having a pacifier. Many parents use the cry it out method to help the babies adjust to not needing the pacifier. Replace the Dummy with a favorite toy. Tell them a magical story about fairies taking the Dummy. Use a Baby Swaddle so Bubs feels safe and secure. Household noises are everywhere and cannot be avoided. 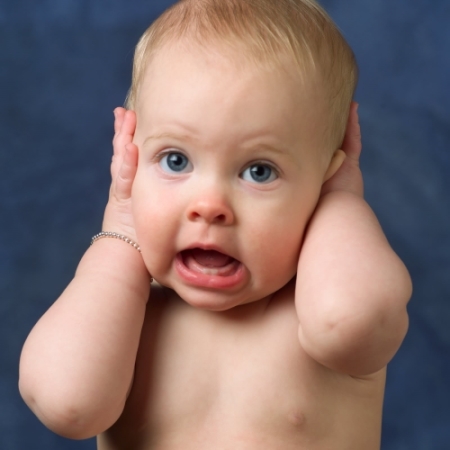 As adults we may be able to tune out or ignore them, however, for some babies those noises can be all it takes to wake them. So many of the simple noises seem silly, like unloading a dishwasher, closing the door or turning off the light. Those little noises can quickly become a new parents nightmare. For babies that have trouble sleeping with noise, there are some things that parents can do to try to help their bubs sleep. One thing that can help is using a white-noise machine. Many studies have found that using one of these devices will help a person to sleep through many external noises, it can help adults as well as babies. The sleep noise will become something that your little angel will associate with their bedtime routine. The sleep noises don’t only make our little ones stay asleep, this can become part of your night time routine. This sound can become a trigger to help your baby fall asleep. There are some little ones that have a difficult time sleeping unless they are nursed to sleep. 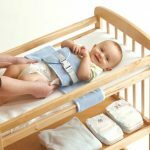 It may be beneficial down the track to explore other options to keep your baby asleep, when nursing is all they want. One idea you could try is watching how your baby sleeps. Let your baby nurse until they are in a light sleep, and then place them in their beds. If your baby gets into a deep sleep, the transition to their bed can cause them to wake. 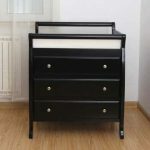 The signs to look for to determine their sleeping stage are similar to those that are used when feeding. Learning the signs to know when your baby is hungry can help during the bedtime routine as well. When trying to adjust baby sleep patterns through a sleep training programs, remember that sometimes it doesn’t work. Before looking into a program, try to look at your current routines and see if there are any adjustments that you can make. Remember as parents we need to stay flexible. A nighttime routine is important for stability, however if something is not working then change it.